Ofcom today introduced new rules to make it easier for you when changing mobile phone providers. The new rules will make it quicker and easier for consumers to keep their existing mobile phones numbers, 'strengthening competition and consumer convenience'. 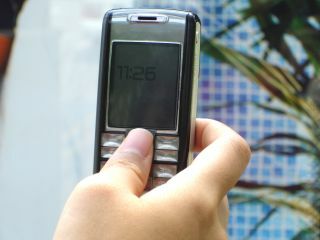 Currently, it can take several days to get a PAK code and to move your existing phone number between network operators. But under the new Ofcom rules, a new number will be up and running within two hours of moving to a new network. Nice. You'll also know exactly when you'll be able to make and receive calls again, rather than having to wait up to five days under the old rules. The two-hour transfer rules must be implemented by September 1 2009. Ofcom previously decided to reduce mobile phone number transfer times to two days from the previous five, but went a step further to make customers' lives easier. "Consumers deserve a quick and easy process for switching while retaining their number. These measures will promote competition in the UK mobile market and act directly in the consumers' interest. Our new rules set tough but achievable deadlines to put new systems in place and I look to the industry to implement them effectively," said Ed Richards, Ofcom's chief executive.